The house of foam concrete is warm, light and surprisingly durable. 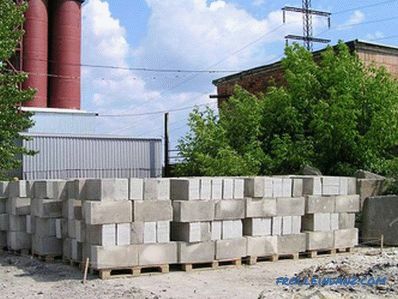 Foam concrete is a modern material that successfully replaced brick and concrete slabs. Working with him is so simple that one person can do it. However, before you build a house of foam concrete, you need to know some of the subtleties that are associated with such construction. 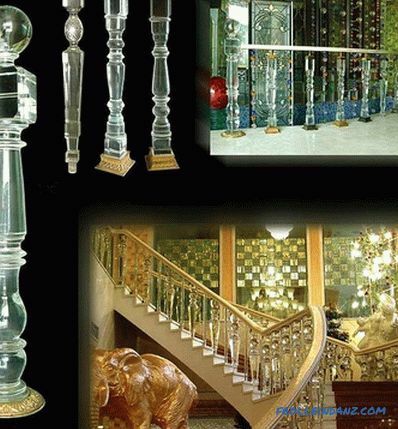 Most of the nuances are due to the specifics of the material. 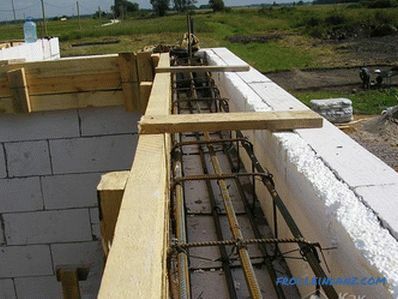 A heavy-duty foundation is not needed for foam concrete, because the house will be easy. 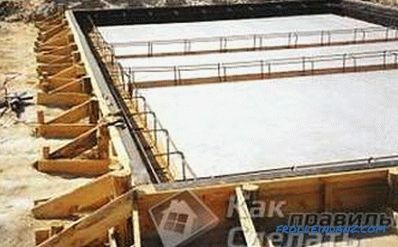 The inner part of the formwork is covered with glass asphalt or other similar material. 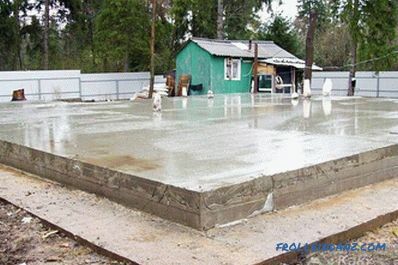 The best option here is a solid slab foundation, but if you wish, the master can also put in place a solid strip. Installation of external formwork Work is done in the following order. 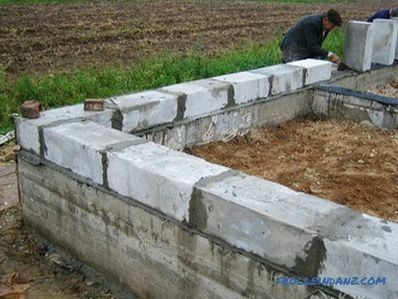 It is necessary to remove the top layer from the soil by making a small trench. The surface must be leveled and a frame made of boards must be laid on it. Anyone who is familiar with such foundations, it is known that the framework is divided into a kind of "sandbox". Thus, here you can pre-determine the location of the bearing walls. In the sandbox it is necessary to pour sand, pour it with water and compact it so that it becomes hard. If the sand no longer remains traces when walking on it, then the work is done correctly. Next, the tamped-up places must be covered with a film that is attached to the sides. The next step is the installation of external formwork. It should be produced by level. In those places where bearing walls are planned (gaps between sand squares), reinforcement should be installed. Double foundation reinforcement is carried out. First, the lower reinforcement mesh is laid, and then the upper one. The next stage is concreting. After the concrete is poured, it needs only a little align. The foundation is ready, it's time start building a basement. That he laid out the bottom row of foam blocks. 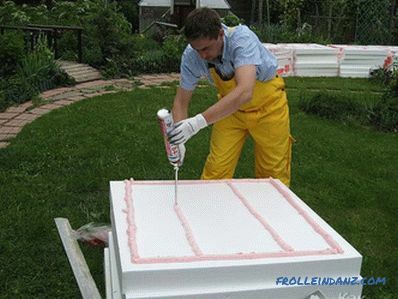 Using a waterproofing mixture When working, you must first install foam blocks in the corners. 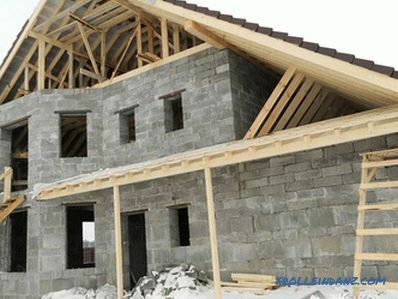 To determine what will be the construction of the house, you can see the various free projects of houses of foam concrete. The first row of blocks is laid on the waterproofing mix. Before laying the material must be moistened. The remaining blocks are installed on glue, which is designed specifically for foam concrete. Foam concrete is good because it can be easily cut and give it a different shape. If desired, the master himself can even produce blocks of various shapes and cut them as he sees fit. The outer rows of the blocks are necessarily reinforced. 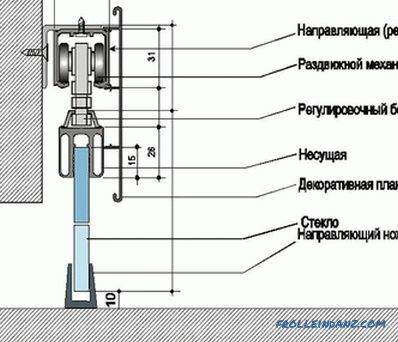 For this purpose, special shafts are cut into them, into which the fittings are laid. If you need to make windows in the bottom row (for example, for ventilation), then this will require reinforcement corners. 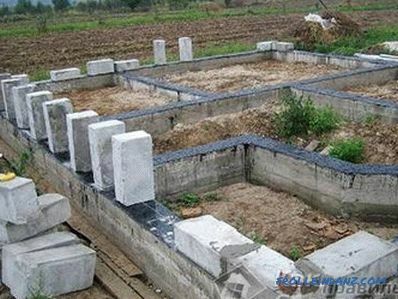 It is easy to build a house of foam concrete with your own hands. However, if you work alone, then only the arrangement of the basement can take about two weeks. After the lower basement is completed, a reinforced concrete belt is installed on top. The armature is welded right on the spot, because it is very heavy. After the concrete belt is installed, need to start work with windows and doors. Everything is much easier here, because the main, most difficult part was at the beginning. Learn the subtleties of working with foam is easy, the principles are very simple. The roof on foam concrete structures is installed in the same way as on any other structures. Despite the fact that foam concrete is very warm material, insulation is still required. Moreover, it is desirable to carry it out from the inside and outside the house. Internal warming alone can cause walls to get wet. After all, the blocks will still be cold, and this will lead to condensation. What and how to insulate a house from foam concrete outside? One of the most optimal materials is polystyrene foam. It can be installed using the old proven method. First you need to make a crate of wood on the surface of foam blocks. So that it does not disintegrate, wood should be treated with special compounds. Styrofoam is placed on the crate. From above, everything is covered with a decorative layer. This can be any material to the taste of the owner. The easiest finish is plaster. A house of foam blocks must be insulated from above. 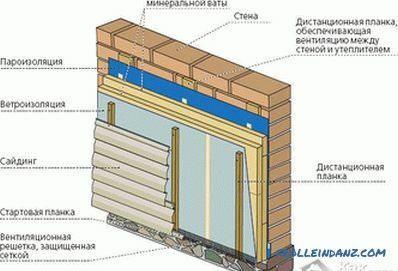 It is advisable to put a layer of heat insulator between the roof lag, and also to make a warm floor. When insulating the floor and roof, it is also necessary to install a hydraulic and steam insulator. This will save the owner from many problems. The main problem that a homeowner may encounter with such insulation is that you need to know exactly what brand of foam concrete is suitable for this type of work. 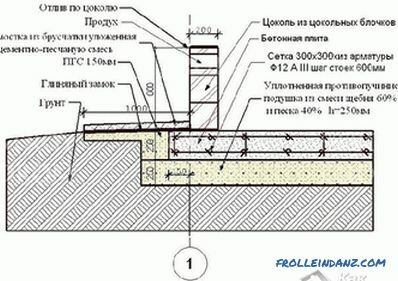 Another form of home insulation from foam concrete is based on the "sandwich" method. Its essence is that on the surface of the walls install layers of a slit brick, polystyrene foam and foam concrete. This design provides excellent protection against cold. And if you additionally install a heat insulator also inside the house, then the owners will not be afraid of any frosts. Internal warming is carried out in the same way as warming of any other house. From materials you can use drywall, mineral wool and other environmentally friendly heat insulators. First, either the crate or steel brackets (profiles) are installed on the surface. Then the material itself is attached to them, and decorative protection is installed on top. Often in such cases, both drywall and expanded polystyrene are used. With this design, you can protect not only from the cold, but also from noise. In the case of foam concrete houses, one should not be afraid that steel profiles, reinforced without crates, will become cold bridges. In the absence of external insulation, one should worry more about dampness and increased condensation. Foam concrete itself protects from cold. 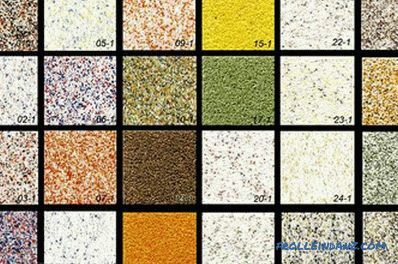 Its high thermal conductivity has already been appreciated by many owners of private houses from different countries. The only problem that really needs to be addressed is moisture. how to build a dog house with your own hands.